I have always had a fascination with unsold pilots. The missed opportunities and potential therein are lost to a vault in the studio, never to be seen by the public. Fortunately, in the case of the Aquaman pilot, this is only half-true. With the arrival of the highly anticipated Aquaman feature from James Wan, this pilot becomes even more fascinating. 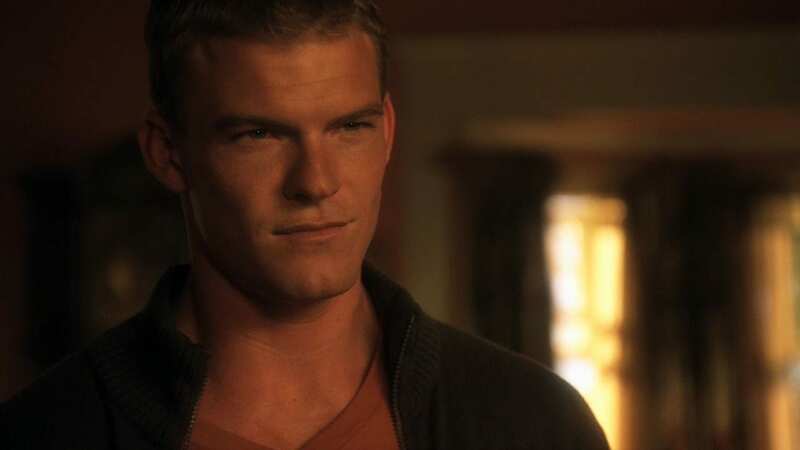 During the early part of Smallville season 5, the creators, Al Gough and Miles Miller, bought in Alan Ritchson, currently back in the DC fold playing Hawk in DC Universe’s first original show Titans, to play Aquaman for an episode – an episode that subsequently was one of their highest-rated. The creators then decided to create an Aquaman TV show. So what was this Aquaman pilot about? We first meet Aquaman (known as AC in this show) and his mother ten years ago. They are sailing over the Bermuda Triangle and are attacked by a siren. AC barely escapes with his life. We then cut to the present and AC is swimming near his boat. As soon as he climbs back aboard, he is arrested for having released some dolphins from the aquarium. Right from this scene, we can infer that Aquaman was going to be established as an ECO-warrior in this show. In an age where the only superhero show is Smallville, having a hero who cared so deeply about the creatures of the ocean would’ve been fascinating, particularly in the context of the mid-aughts. There probably would’ve been some campaigns from the WB in support of protecting the ocean wildlife. Granted, the most important thing would’ve been the story, but then it’s always good to use your platform to do something positive. All that aside, this passion from AC is taken advantage of by the siren, who took his mother away from him, using her power to lure AC away from the public so that she can kill him. She would have succeeded were it not for McCaffery, played by the always awesome Ving Rhames. McCaffery reveals he had helped AC and his mother escape Atlantis years ago. He then delivers the standard destiny speech; in this case, it’s about becoming a protector of both the seven seas and “the world he has embraced as his own.” Again, all pretty standard stuff, but the most interesting parts of the Aquaman pilot had to do with the mythology of Atlantis. Despite all of this buzz and all this potential, the Aquaman pilot wasn’t picked up, a victim of the merger between WB and UPN. The fact that the studio heads initially said it was in contention for mid-season felt like little more than lip service. The creators once talked about how they could see 100 episodes, and given the mythology seeded into this episode, it’s easy to see why. Recently, Justin Hartley himself lamented the show that could’ve been, going so far as to say that it might have still been on now. Given the proliferation of superhero television, it’s an easy inference to make. With shows like Arrow well into its seventh season, the sky could’ve been the limit. I can’t help but wonder what else Gough and Miller had planned, so hopefully, they’ll do a wide-ranging interview in the future explaining their unaired pilot. With all the lemons the creators were given with the Aquaman pilot, they made lemonade by subsequently casting Justin Hartley in Smallville as the first ever live-action Green Arrow. In the end, we still are going to get Aquaman on-screen, but the idea of the Aquaman pilot will always be a tantalizing what-if story.